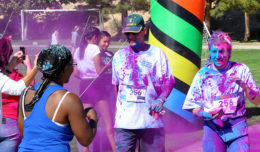 The “Gate Keepers” at the Mojave Air and Spaceport received a new paint job recently, just in time for summer visitors. 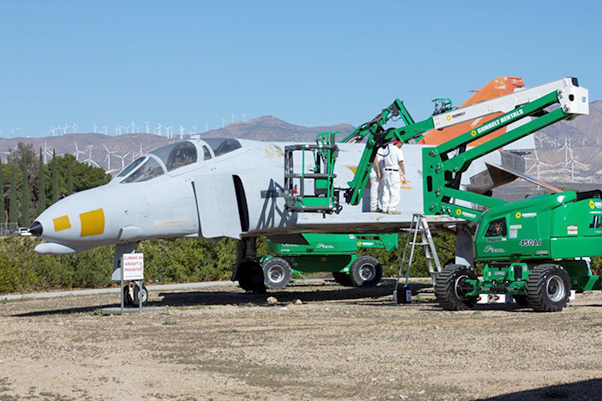 Polychrome Construction Inc. won the bid to paint the historic aircraft. The company is well-experienced in interior and exterior decoration aspects of buildings, theaters, restaurants and historic renovations; however, the huge Convair was a welcome challenge and addition to their portfolio. The company contracts throughout California and is based in Northridge. Marios’ brother, Spiro, came along for moral support. “I love to watch the planes fly overhead — this is a pretty incredible place.” Spiro said he has always been intrigued by the shape of planes and could name a lot of them flying over Mojave, although some were pretty strange-looking to him. Working in Mojave piqued his interest in aircraft and aerospace even more. The Convair 990 arrived at Mojave in October 1996. NASA Dryden Project Pilot C. Gordon Fullerton and NASA Dryden Chief of Flight Operations Tom McMurtry delivered the Convair 990 from Edwards to Mojave Oct. 24, 1996. Also on board were Crew Chief and Flight Engineer Daryl Townsend, and Flight Engineer Steve Robinson. Operation Engineer Herb Anderson was on hand to answer questions and drive the crew back to Edwards. The late Dan Sabovich, then general manager of Mojave Airport, was there to meet his friends and said that the Convair would permanently be displayed at Mojave, recalls Hansen, who was there on that historic day. A NASA F/A-18 flew chase with the CV-990 and Dryden research pilot Ed Schneider did a fly-by with the Hornet after the 990 landed. 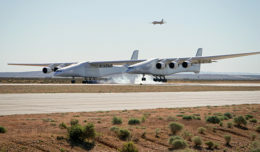 “At the time, I was just excited to see another piece of aerospace history come to live at Mojave Airport, but now I realize this aircraft is remarkably important, having been flown by some of the greatest names in aviation history. 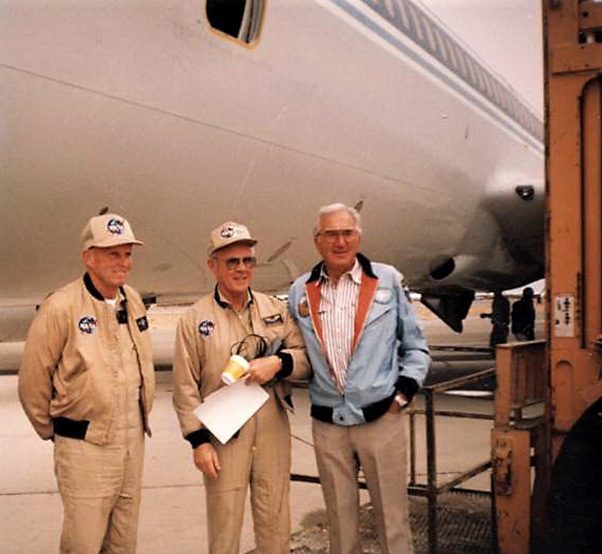 From left: Gordon Fullerton, Tom McMurtry and Dan Sabovich stand in front of the Convair 990 after delivering it to Mojave Oct. 24, 1996. “Gordon Fullerton was a NASA astronaut from 1969 until 1986 and Tom McMurtry was a U.S. Navy pilot flying F9F Cougars, who went on to fly for NASA as test pilot in the X-24 Lifting Body. How wonderful to meet two of the greatest test pilots during my lifetime!” exclaimed Hansen. The Convair 990 was used by NASA as a medium-altitude research platform and Landing Systems Research Aircraft (LSRA) for the Space Shuttle program. Between 1969 and 1986, Fullerton spent 382 hours in space, flying more than 135 different types of aircraft as a test pilot, with more than 16,000 flight hours. He passed away August 21, 2013 at age 76. Tom McMurtry passed away Jan. 3, 2015, of complications from a stroke. He was 79. 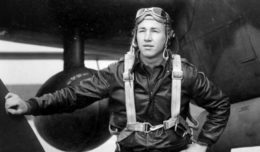 He was known for his exploits behind the stick of such aircraft as the triple-sonic YF-12C, the U-2 and F-104, during a career that included more than 15,000 flight hours.